Wow! What a day! 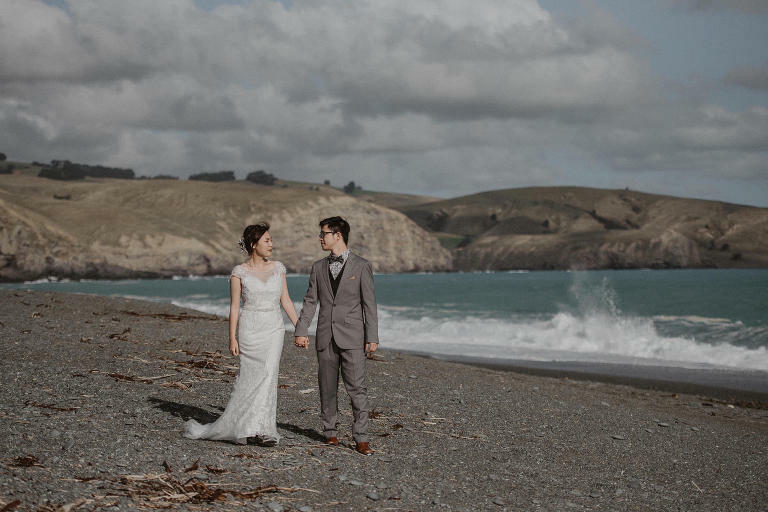 New Zealand is the best location for a destination wedding! There are so many amazing places to choose from when getting married here. Joy and Jackson got married in my hometown, the amazing city of Christchurch, New Zealand. 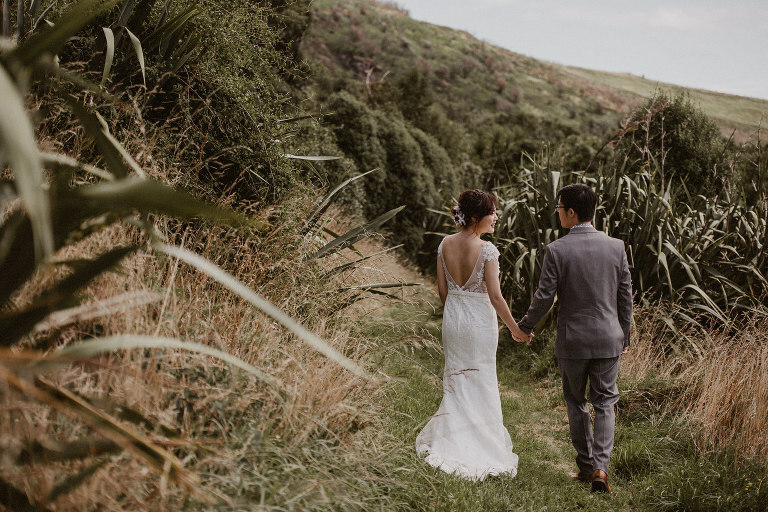 For their wedding photos, we decided to go to the Sign of the Bellbird, which has amazing views over Banks Peninsula and is one of my favourite places in the world for photos. After this, we headed over an other-worldly beach near Christchurch that has beautiful topaz water and grey pebbles, with reddish cliffs in the background. I have never seen a beach quite like this one – the views are stunning! Finally, we headed on to Castle Hill, just as the sun was setting. Castle Hill is a high country station just out of Christchurch (if you head in the direction of the mountains), famous for being the location of some epic battle scenes from one of the Narnia movies. It’s full of pretty amazing and unique looking limestone rock formations. Christchurch put on some wonderful sunny weather for this amazing destination wedding. We had so much fun spending the afternoon together driving through the barren hills and exploring!